This interview was recorded at the 2016 Perth Writers Festival, but was not an official PWF event. 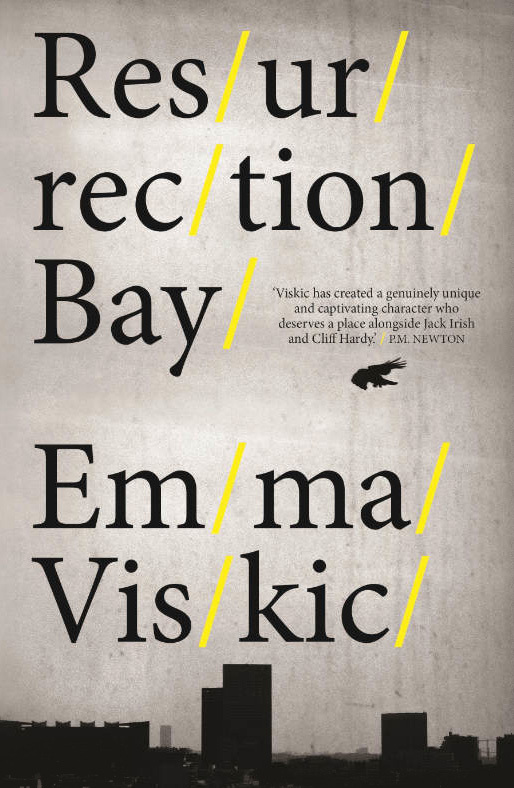 Emma Viskic is a Melbourne crime writer. She has won two of Australia’s premier crime fiction short story awards: the Ned Kelly S.D. Harvey Award (2013) and the New England Thunderbolt Award (2013). 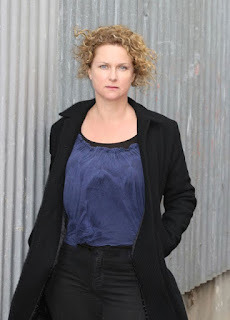 She has had stories placed and shortlisted in numerous other competitions and been published in Award Winning Australian Writing. EP: So, first of all, Caleb is an interesting twist on the hard-edged detective character because he has a disability, and we don't see a lot of characters in fiction with disabilities. Is there something in particular that inspired him? EV: Not so much inspired as probably was the seed, because I went to school with a girl who was profoundly deaf-- but I didn't actually set up to write him deaf. It's been going around in my brain for many, many years, just this outsider. EP: But so many of the plot points hinge on this, like when Caleb can't ring his friend back when he says that he is in trouble. EV: That was a gift! That was a gift because phones are so , they're everywhere, and as a crime writer modern technology, is a real pain. EP: Writing about text messages and Facebook conversations, I don't know about you, but when I do it it feels really twee and horrible. EV: It really does, yeah. Occasionally television or film does it really well, something like Sherlock does it really well, but in a book it's really hard not to just take you out of what's happening, so when I was first starting to play around with the level of his deafness I thought, "Well a lot of deaf people can talk on the phone", I mean one of the detectives says 'Oh you know my Nan speaks on the phone.' But when I decided, no he's really very deaf I thought: "This is excellent! This is really going to be helpful to me... not so great for him but, you know. EP: And then of course there's that moment where he's with his brother Anton and Anton plays the voicemail message, and Caleb just assumes he's telling the truth but later one of the other characters says 'Until you hear that message for yourself, you don't know what it actually said', so it makes it really nice to play with, that you take away a whole sense that he and the reader would normally use to make sense of the world. EV: It was good because when I first went into it, I thought him being deaf would make it so hard for me as a writer but actually in many ways, once I conquered the technical problems, it actually made it so much easier-- because as you say it's got that 'What's happening?' element to it. EP: Did you actually go and learn AUSLAN? EV: Yeah, absolutely, I'm still learning. It's fantastic, I love it so much. I'm really bad at it, I'm almost Frankie level. EP: Which crime writers have influenced you the most? EV: That's a really interesting question. [Points] One of them is sitting right over there! Garry Disher, definitely his stuff. Back in my teen years and that, Sarah Paretsky and Sue Grafton. They're the ones I really got stuck into, and I sort of assumed I would write a female protagonist, but that didn't happen. Then in Australia we've got Pam Newtown and Malla Nun and people like that. You've got the classics, Chandler, and James Ellroy and people. EP: What kind of research did you get into? EP: Other than that? You didn't go and shoot someone through the neck just to see what it felt like? EV: Not that we can talk about, my lawyers have said no. (Laughs) I spoke to a lot of people. I got most of the book down and then I talked to a lot of people in the deaf and hard of hearing community. I did a lot of reading of biographies and things. Spoke a little bit to a cop friend of mine as well. I wanted to steer away from that real procedural sort of side of things anyway, and Caleb's not involved in that, so I did steer away from that. EP: What does your typical writing day look like? EP: A good day, then. EV: A good day... A day when I'd be totally by myself with no one talking to me and I can just sit down and write and every now and then get up and go for a walk. So every now and then I take myself away from my family, and book myself into a place for a day or four days or something and all I do is write and read. On a normal week, I'll grab half an hour here, a couple of hours there, I often wait 'til everyone goes to sleep at night and write then, so it's all over the place, really. EP: What books are at the top of your TBR pile right now? EV: [Pulls book from bag] Oh! This one! The Night Guest by a fantastic writer called Fiona McFarlane who writes fantastic short stories so I am really, really excited about this. And Rush Oh! by Shirley Barrett, so funnily enough neither of them are crime novels, but both festival novels. And I do have pretty eclectic tastes. EP: What was the journey to publication like for you, and how was it working with Echo Publishing? EV: It was I think probably a slightly odd journey in that I got my contract through twitter. So I was getting to the stage where I was thinking I'd probably start to send my manuscript out in three months-- or never, three months or never-- and Angela Meyer who is commissioning editor at Echo put out a little tweet saying 'What are you working on guys?' I spent a day crafting a little pitch, and she emailed and said she'd like to read a few chapters, and it all sort of went quickly from there. Echo have been a dream to work with, really fantastic. EP: They're just starting to build their list, so you were one of the first with fiction. EV: That's right, I think it may have been their second book, maybe the third one. The second book that Angela commissioned. All very new, although they've all been in the publishing industry forever, whereas it's totally new to me. I went into it knowing nothing. EP: Who were you most excited to see at this year's festival? EV: Oh, that's a really interesting question. Leah Kaminsky who wrote The Waiting Room, who I know a little bit, and I'm on a panel tomorrow with Lindsay Tanner and Alec Patric, which should be really interesting-- we've got the ex-federal minister for finance and Alec Patric, whose book I really love, so that will be fascinating. EP: What is your go to book recommendation and is there one book you think every writer should have to read? EV: Oh, no... but I've got a list of about a hundred, and for some reason-- oh well I know exactly why I'm going to say To Kill A Mockingbird, that's in the forefront of my mind at the moment. I think it's such a great portrayal of people on a small level that has deeper meaning, and I do like to have deeper meaning in a book that I read. I'm all for entertainment but there's got to be something behind it. EP: How do you balance writing with having to be an author on social media? EV: It's really hard actually, we've been talking about that recently. I've been on twitter for a couple of years and it's been fantastic-- I've got my mentor through it, my publisher through it, some great friends. Facebook I'm very new at. I find them both, now, extremely distracting, in that if I'm struggling with a first draft, it's just there... so for the first time in my life I've downloaded a bump myself off the internet app, Freedom. It stops that flicking without even realising you're flicking. Emma Viskic's book Resurrection Bay is available now, it's fantastic and I highly encourage you all to check it out. Thanks so much to Emma and the team at Echo publishing for the interview.